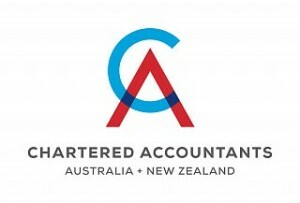 Looking for Accounting & Taxation Advice for your Business? Tax Returns | BAS Returns | Bookkeeping | Satisfaction Guaranteed! Beck Partners Chartered Accountants specialise in helping small business owners to protect assets, minimise tax and maximise wealth. If you want timely information and expert advice to improve your business and complete confidence that your taxation lodgements are correct and up to date, you should get in touch with us today. If you are in business, you can benefit greatly by engaging a modern Accountant that understands your needs and helps you make better decisions to improve your business and make your life easier. Your Accountant should be a trusted advisor that can simplify complex Accounting, Business and Taxation requirements and help you maximise wealth whilst minimising risks. Working with a progressive Accountant that uses modern technology to get your Bookkeeping, BAS Returns and Income Tax done accurately and efficiently will save you time and reduce unnecessary stress. Profit from our Virtual Chief Financial Officer (CFO) service. We can work with you in-person or online and be easily contacted to answer your questions and provide you with valuable proactive advice. Ask us how Beck Partners can make life easier for you. We provide practical accounting and taxation services and advice so that you have less stress and more time for what you would rather be doing. Your email address is safe with us – we will keep it entirely private. To reduce the Accounting and Taxation related stress in your business simply send us a message and start making your life easier today.